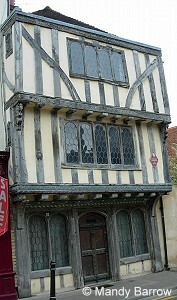 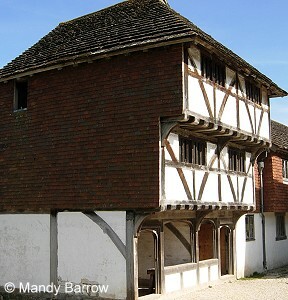 The upper storeys of some Tudor houses were bigger than the ground floor and would overhang (called a jetty). 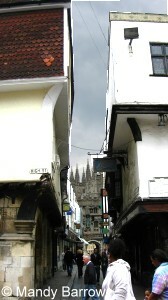 The origins of the jetty are not entirely known but certainly in a town, it would have the effect of enlarging the floor space above whilst giving maiximum street width. 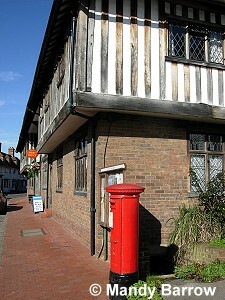 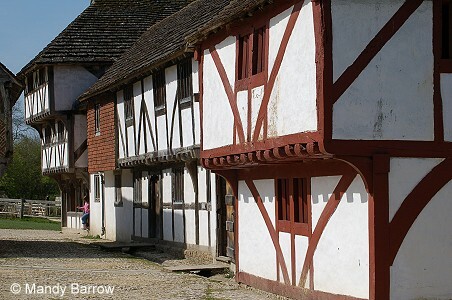 The Tudors used to throw rubbish from their window into the street. 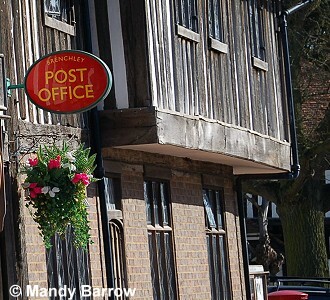 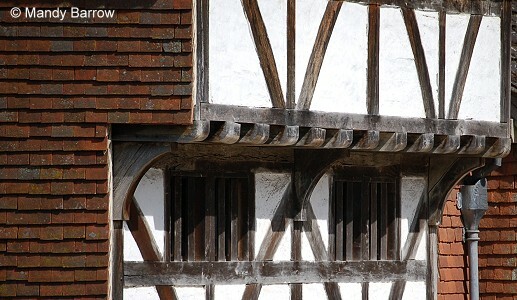 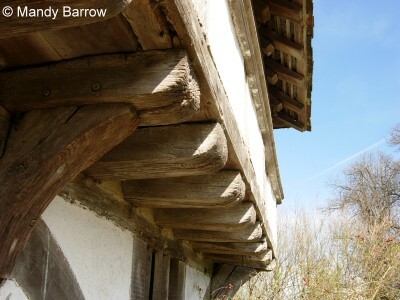 Characteristics of Tudor Houses Old or New?